As you know, Bridges and Balloons is about finding special places and experiences around the world, especially unique and interesting accommodation. So when we were invited on a package holiday with Jet2Holidays, I wasn’t sure if I should accept. I used to go on plenty of package holidays as a child, so I had no doubt they were fun, but I wasn’t convinced that a it would fit with what we look for on this Bridges and Balloons, or be of interest to you the readers. But I did a little survey on Instagram and a huge 95% of you said you’d be interested. And when I searched the Jet2Holidays website I found some good-looking options. So we decided to give it a go and set off for seven days to the Hotel Jure in Croatia, still somewhat wary about what to expect. 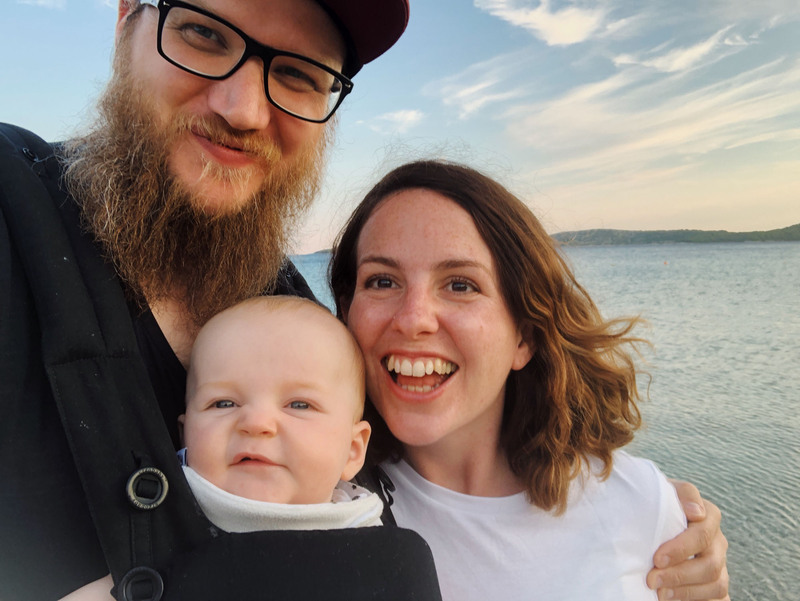 It turned out to be one of the most relaxing holidays we’ve had in ages, and, while I wouldn’t choose a package every time, it was the perfect break for two new parents and their five-month-old baby. And it really surprised us in terms of style. It’s definitely something I’d do again in the future, especially when we can take full advantage of all the kids’ facilities. 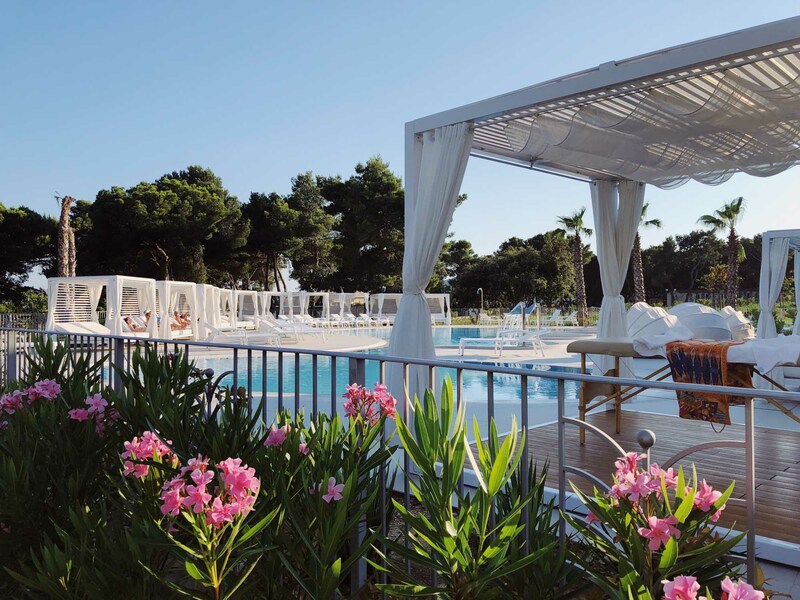 And I highly recommend where we stayed: The Hotel Jure, part of the Amadria Park resort near Sibenik, Croatia. 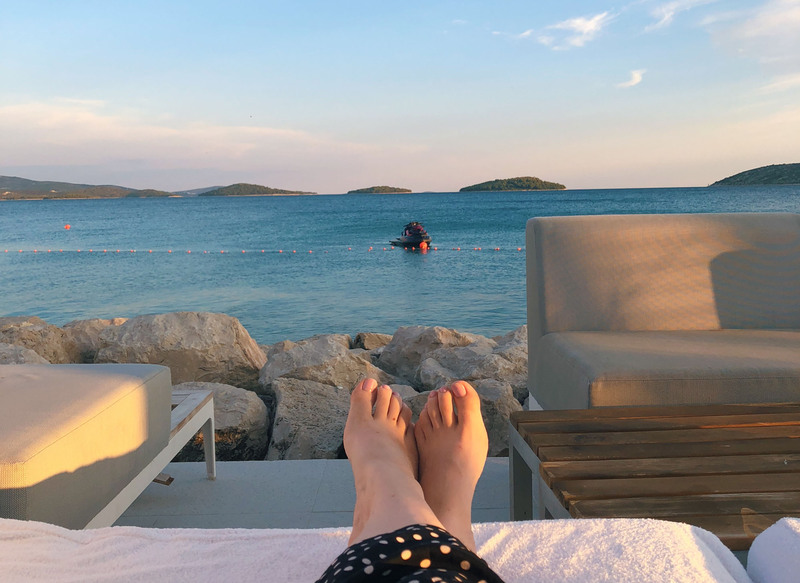 Today I’m writing about all the reasons that combined to make our package holiday in Croatia a success, and in the next post I’ll be sharing some top tips on how to do a package holiday in style. Let me know if you have anything to add in the comments! 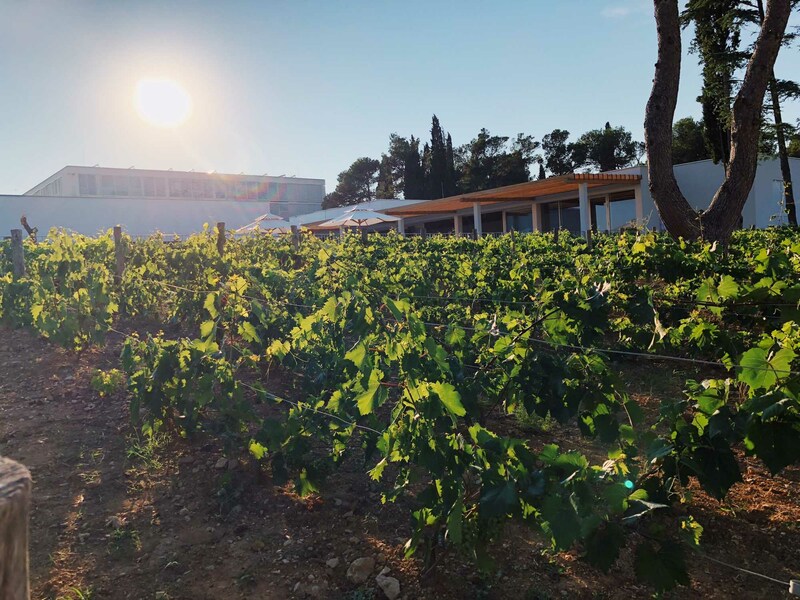 Why we loved our package holiday in Croatia mostly comes down to two things: the ease of the whole experience plus the quality of our hotel. Together they combined to make a relaxing trip where the extent of what we had to consider each day was what food to choose from the buffet and whether to opt for the beach or pool. It was also wonderful to have the luxury of spending a whole week together without having to do any work. Life is full at the moment with learning how to look after Otis and juggling all the things of life, so time all together is precious. Because everything was on a plate for us, that time was maximised and it was a break for everything – body, mind and soul. 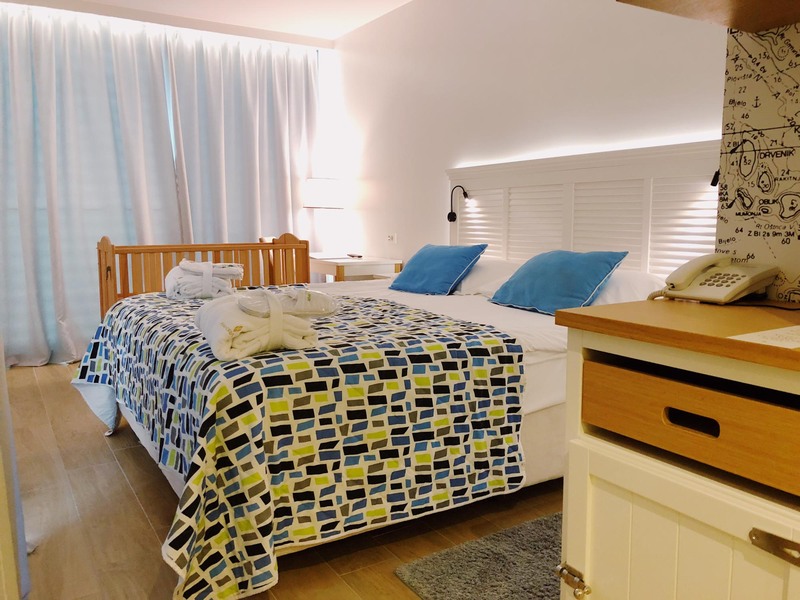 I love planning trips and seeking out special stays, so a package holiday is never going to be my number one choice, but I can certainly see the attraction of having everything laid out for you. 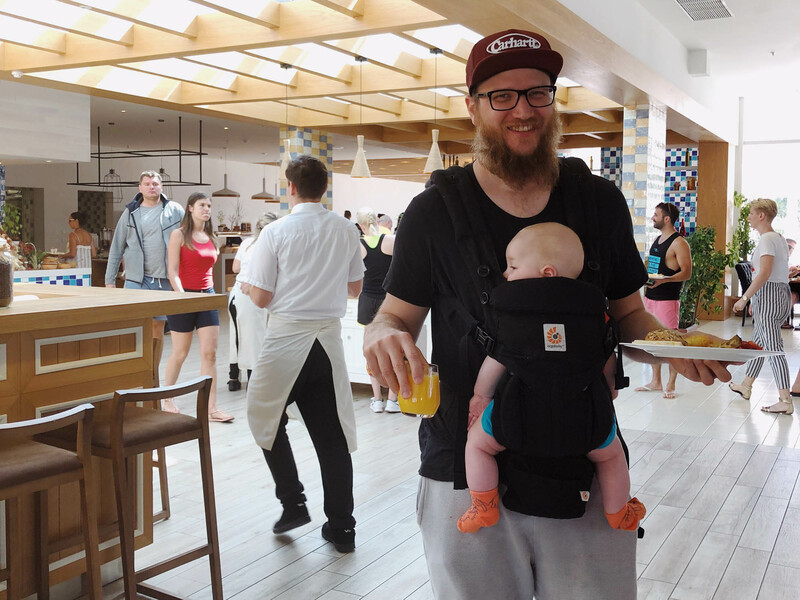 It was especially appreciated with a five-month-old baby in tow. Not only did I not have to spend ages planning things beforehand, I also barely had to think about things to do while there. 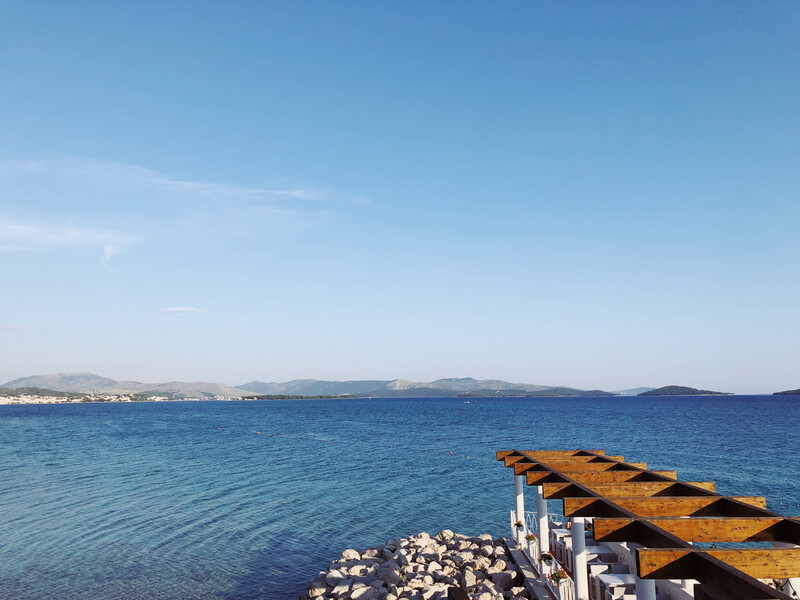 Everything we needed was at the resort and we only left twice for day trips to Sibenik and Krka National Park. 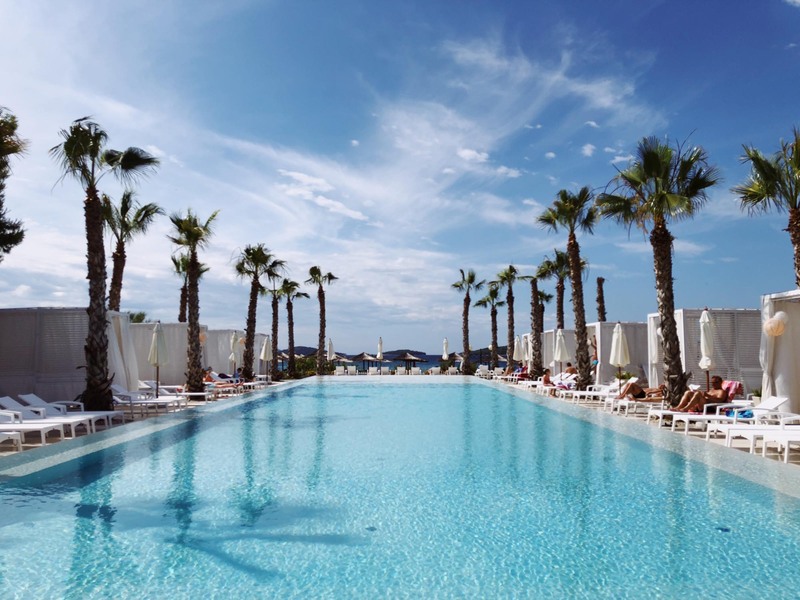 From the beach to the pools to restaurants and a spa, everything was on our doorstep. It made for a particularly relaxing holiday. The nature of a package holiday meant we had a holiday rep who was on hand to answer any questions we had or sort out an issues. 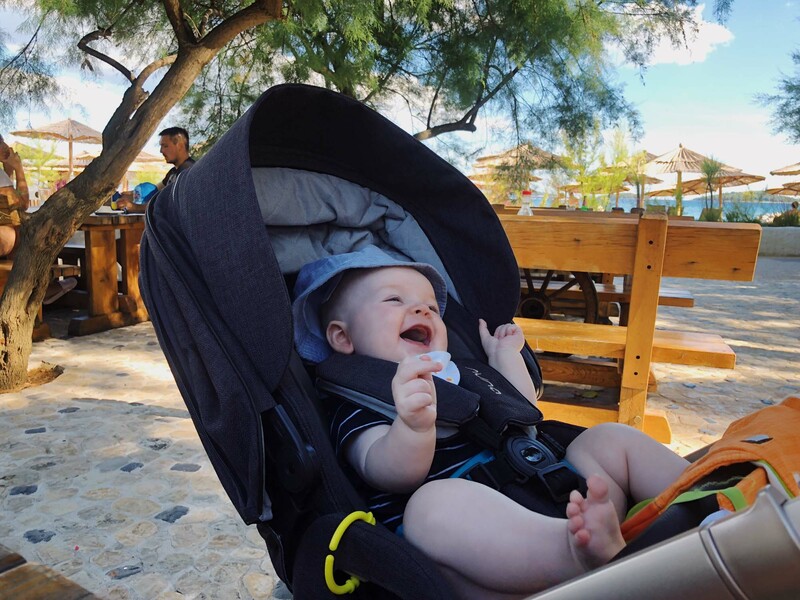 It was thanks to our rep that we managed to sort out an issue with our car hire company, Sixt (they didn’t have a baby car seat for Otis despite us confirming one the week before and then they ended up sourcing us a low quality one from a different company). Our rep managed to find us a new one immediately and got a Jet2Holidays transfer to bring it to our hotel, saving us the trip to the airport. Without a doubt, the number one thing that made our holiday so special was the resort itself. 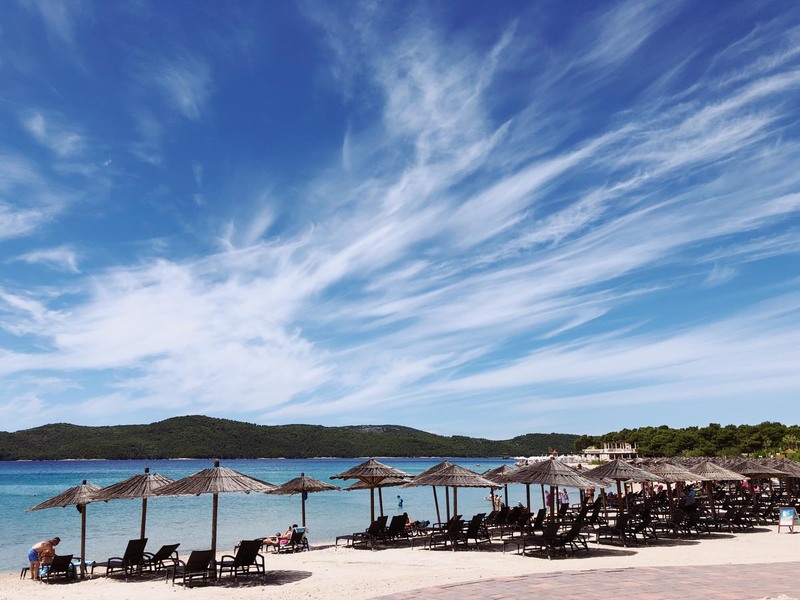 We stayed at the Hotel Jure in the Amadria Park holiday resort just south of Sibenik. 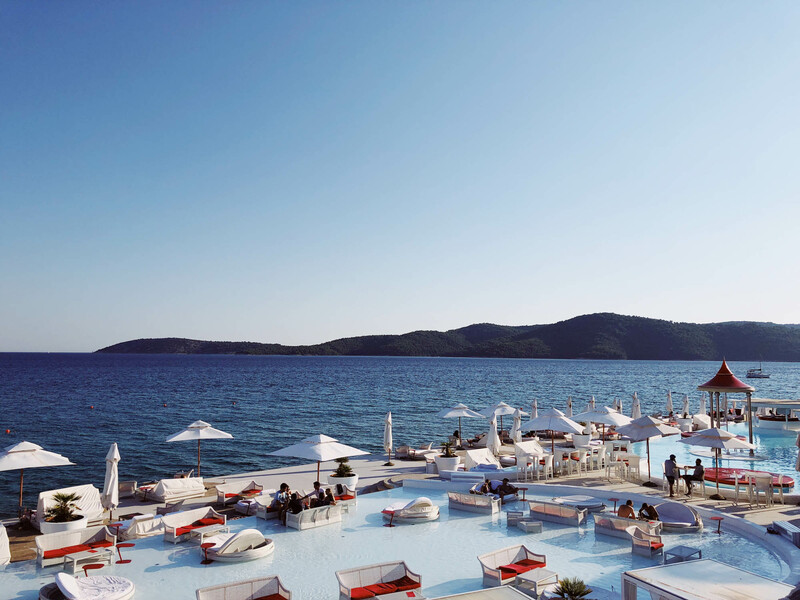 The whole resort lines the seafront with different beaches to choose from, all leading to the crystal clear water that Croatia is famed for and reaching out to little islands in the distance. 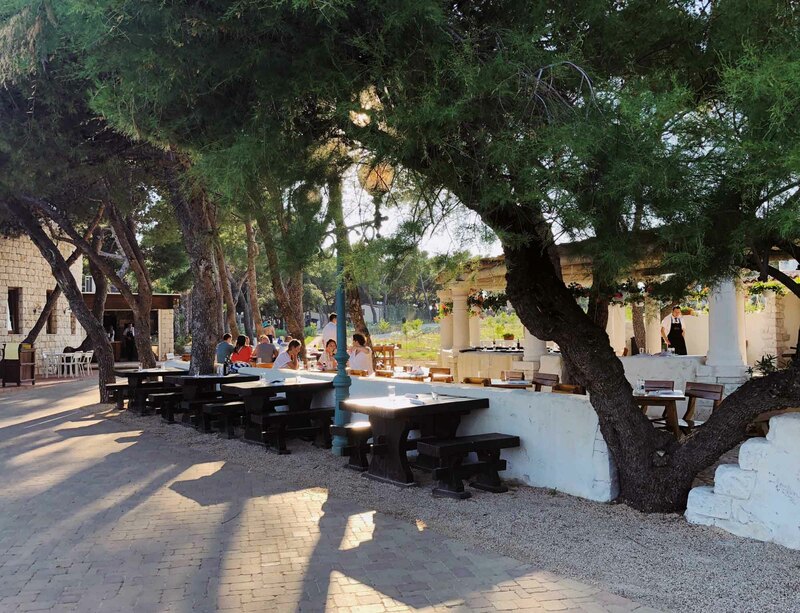 It was an idyllic setting and the design of the resort was sympathetic to that, with artfully landscaped gardens and buildings that complimented the nature. It was a far cry from some of the concrete resort monstrosities I’ve seen before. 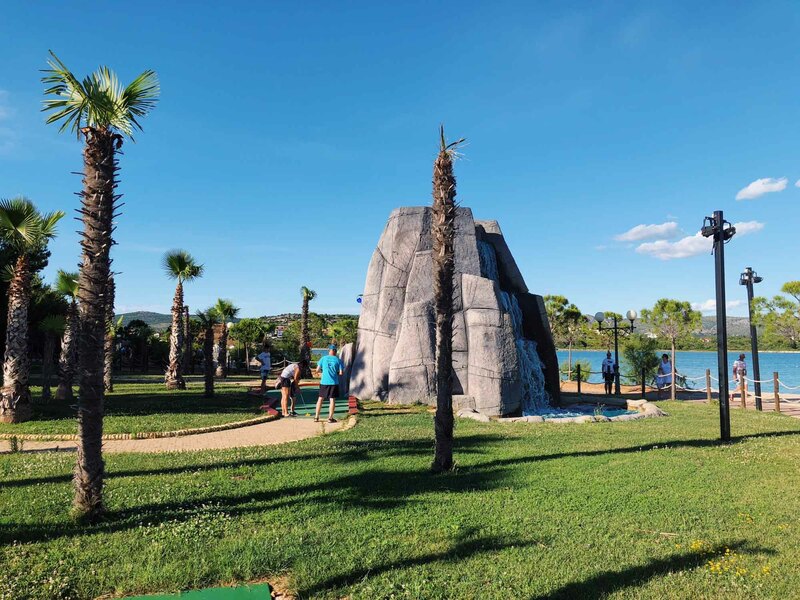 Amadria Park (previously known as Solaris) has a dizzying array of facilities, including: a wellness centre; a water park; a crazy golf; lots of different shops, bars, cafes and restaurants, including a brilliant ice cream parlour; a pirate ship you can take trips on; a tasteful reconstruction of an old Croatian village (the Dalmatian Ethno Village) where you can have a buffet of traditional food; and a small vineyard that produces Amadria Park wine. 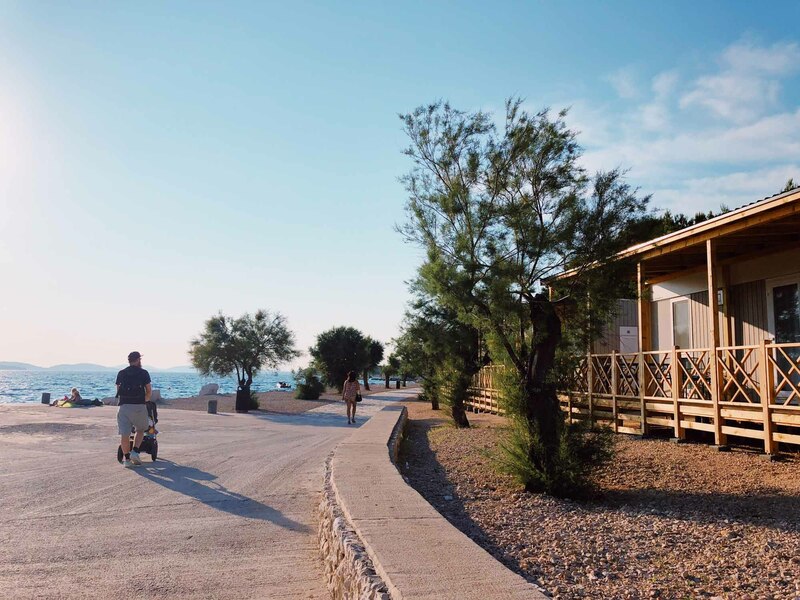 Plus it’s next to a beachfront campsite, which is a beautiful place to walk in and has a well-stocked supermarket with all you need. We spent a lot of time just walking along the beachfront promenade that lined the resort, which was about a 40-minute walk from end-to-end, and was perfect for enjoying the sunsets or early morning strolls with Otis. 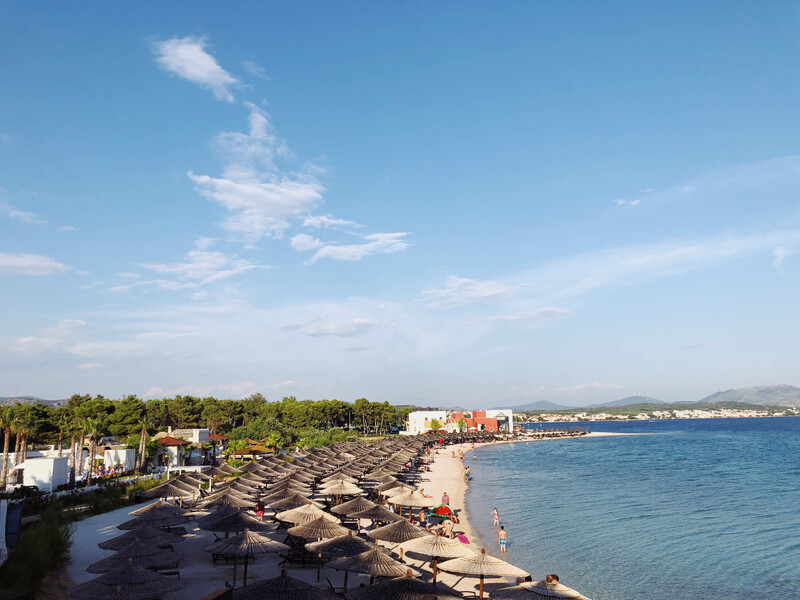 If you didn’t want to, you needn’t leave the resort for your entire holiday. 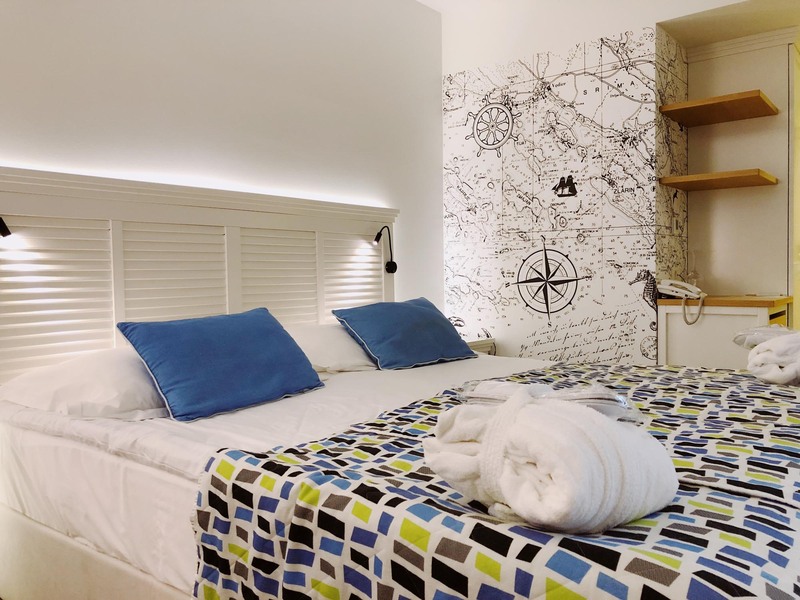 The hotel was only about a 10-minute drive away from Sibenik, a beautiful medieval city, and just 20 minutes from Krka National Park. 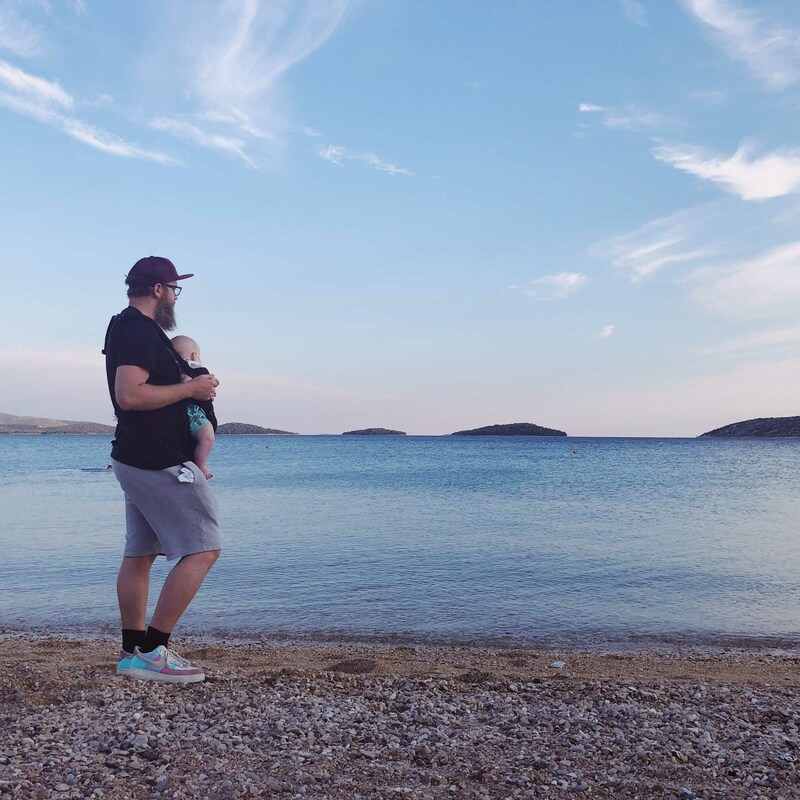 These were the two day trips we chose to take, but other options included Split (one hour away) and Plitivice Lakes (2 hours away). We’d have loved to go to Plitvice but it felt a little far to go in one day with Otis. As it was, two trips felt like enough as we were quite happy to relax in the resort and on the beach for the rest of the week. 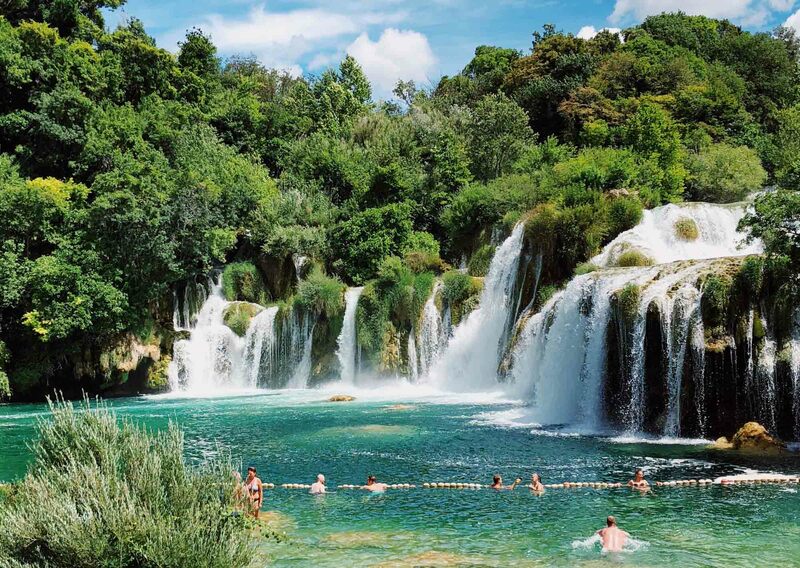 Krka was particularly special, with a series of cascading waterfalls and pools, the final one of which you can swim in. The waterfalls are among the most beautiful I’ve ever seen. 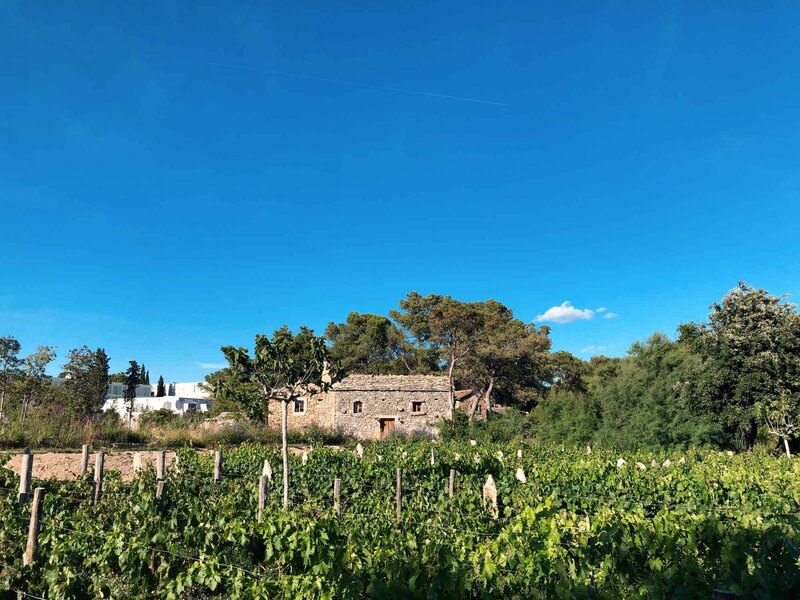 For more ideas, here’s a post by Travel Notes and Beyond, which has ideas for day trips from Split and the surrounding area. You could also extend your trip up north: this is a handy guide for everywhere from Zagreb to Plitvice lakes. 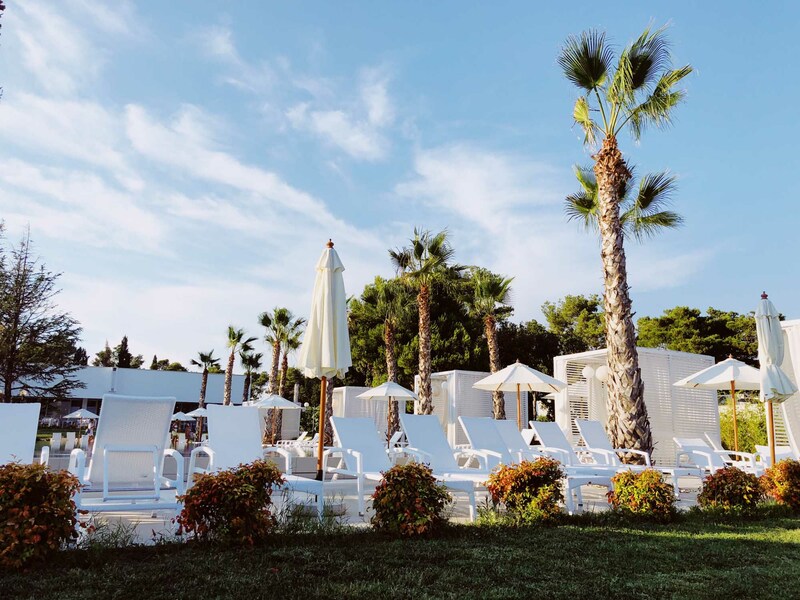 The Amadria Park resort is made up of four hotels, all with different specialities including a family hotel, a business hotel, a stylish family hotel and the one we were in – a lifestyle hotel with a focus on good design. 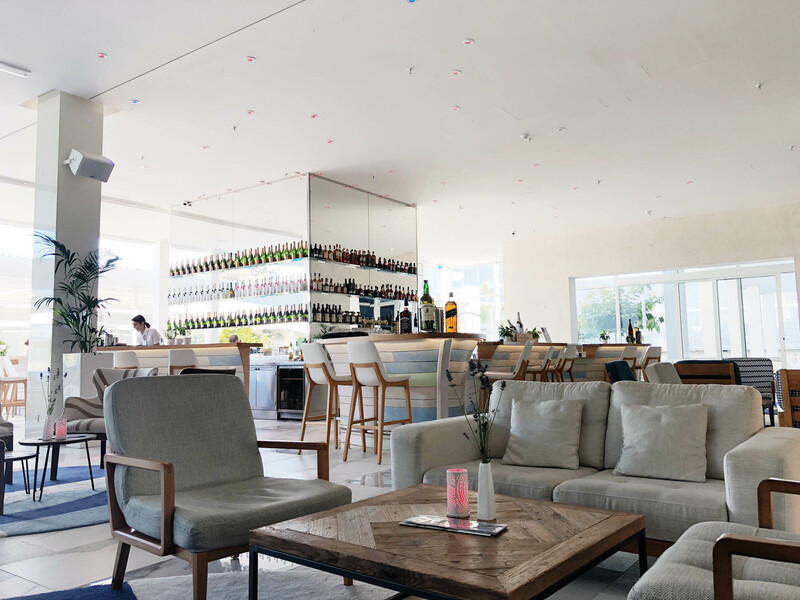 We had a look around the other hotels and Jure was definitely our favourite – it had a huge, airy lobby and bar that was a pleasure to hang out in when the sun got too much, plus I loved all the little design touches that challenged my idea of what a package hotel looks like. 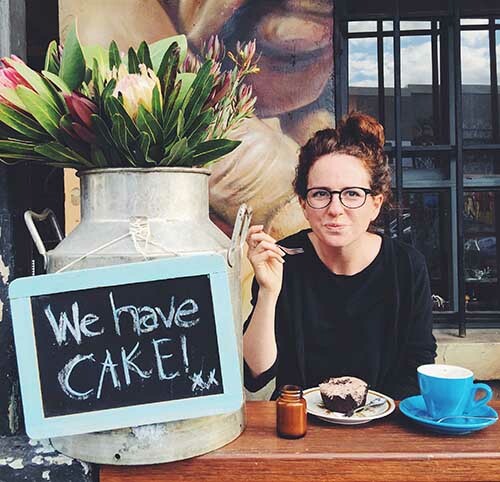 The restaurant was particularly well done, kitted out in different design schemes, and looking a little like a hipster coffee shop In places. The Jure Spa was also a highlight – we both had great massages there and a little lounge in the adults-only pool area. 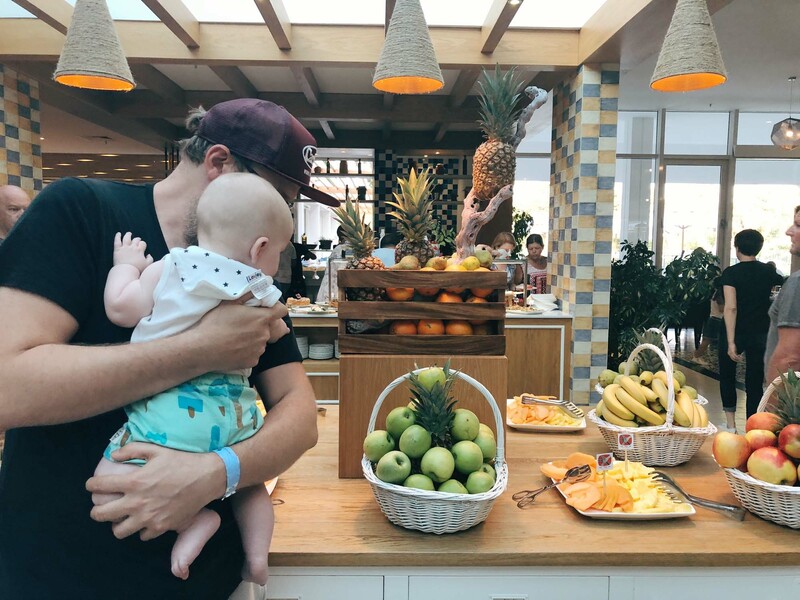 Also, despite there being two family hotels in the resort, there were still quite a few children in the Hotel Jure and I think that’s where I’d choose to stay even if Otis was a bit older as he’d still be able to use the resort’s kid’s facilities like the water park and kid’s club. We were booked on a half board basis, meaning we got both a breakfast and dinner buffet every day. 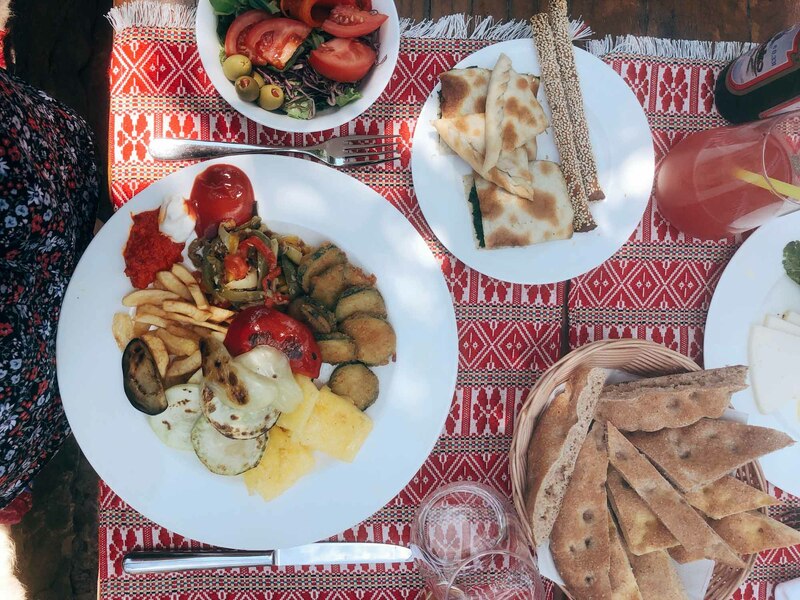 I’m a huge fan of a buffet, so I revelled in filling my plate with off-kilter combinations every day, but, while the food we could eat was good, I would have liked to see more veggie options. 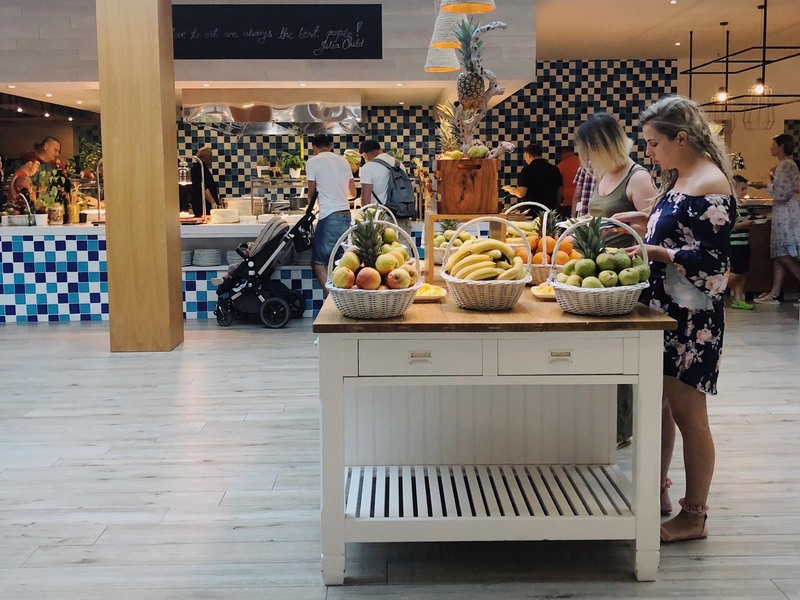 For lunch, there were a few different options in the resort’s cafes and bars, but for veggies that was mostly limited to pizza, pasta, salad and sandwiches. 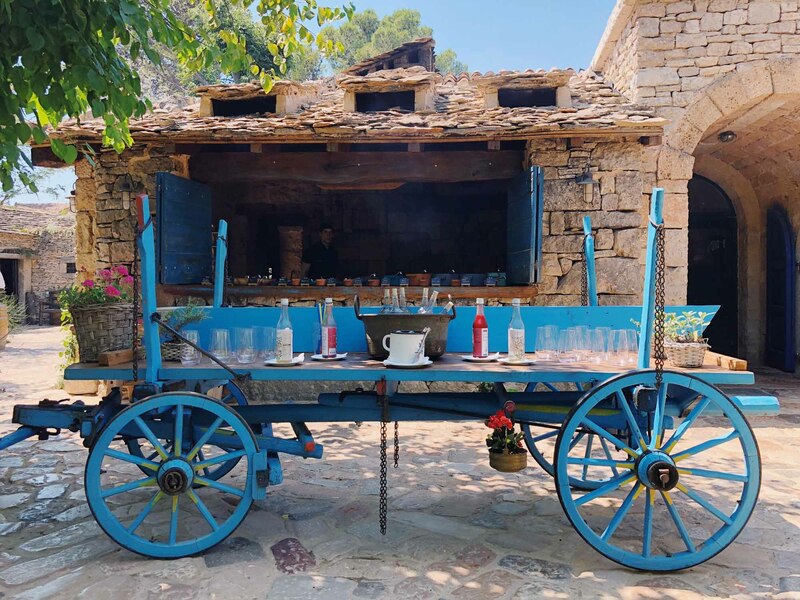 We also did the buffet in the Ethno Village one day, which cost €25 per person and was somewhat wasted on us as the veggie selection was almost the same as what we had for dinner every night. However, we enjoyed the ambience of the place so didn’t mind too much. This was our second trip abroad with Otis. 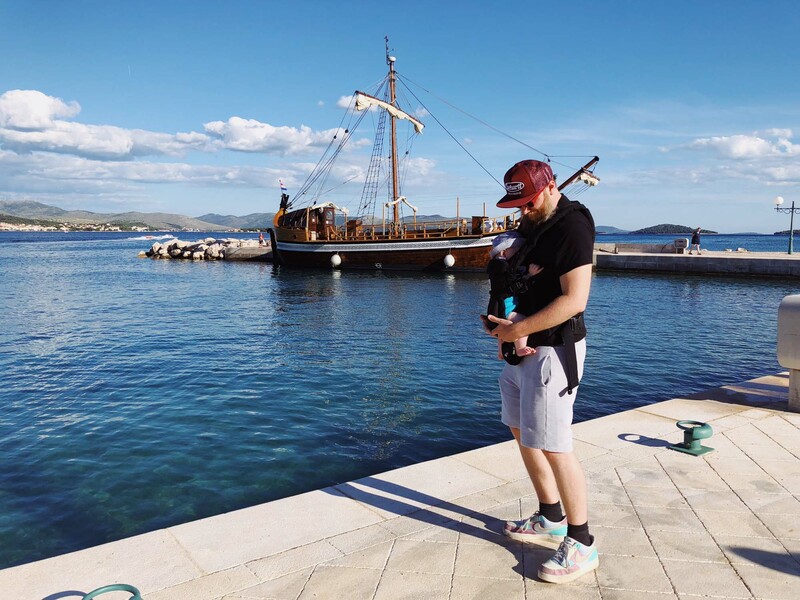 The first was to Barcelona when he was about three months’ old, so this time he was two months older, which meant he slept a lot less than before and needed more entertaining. Where we could go out for dinner quite late most nights in Barcelona, in Croatia it worked better for us to eat quite early at 7pm and then get Otis to bed in good time. Because Croatia is an hour ahead, this meant Otis was more or less going to bed at his usual time. There were a couple of nights where he was exhausted by dinner time, so Steve I had to eat separately, but for the most part it worked well and this was all made much easier by the restaurant being in the hotel. All the staff at the hotel were super friendly with Otis and we felt entirely welcome as a family even though it wasn’t a designated family hotel. And there were lots of places that were good for hanging out with Otis: for example, the big shaded cabanas near the main pool; the lounge area with all its sofas, and down on the beach where Otis loved to lie on a sun lounger under an umbrella while a piece of fabric waved in the air above him! Going for walks along the seafront with the pushchair was also ideal. Otis doesn’t need pure darkness and silence to sleep, so Steve and I could hang out in the hotel room once he’d gone to sleep or on our balcony. If your baby does need dark and silence, then I’d recommend making sure your room has a balcony as then you’ll have somewhere to hang out once the baby is asleep. My only complaint aside from the lack of veggie variety was the volume of the music from the resort’s En Vogue Beach Club, which was very close to our hotel– it played loud club-style music every day from about 10am until 8pm and the sound travelled down the length of the beach, somewhat impinging on the tranquil vibes. They played it even when the club was almost empty. However, the saving grace was that it could be escaped if you went around the corner to the beaches in front of the other hotels. Obviously, with this, I’m showing my age! So they are our top reasons for why our holiday was so lush. 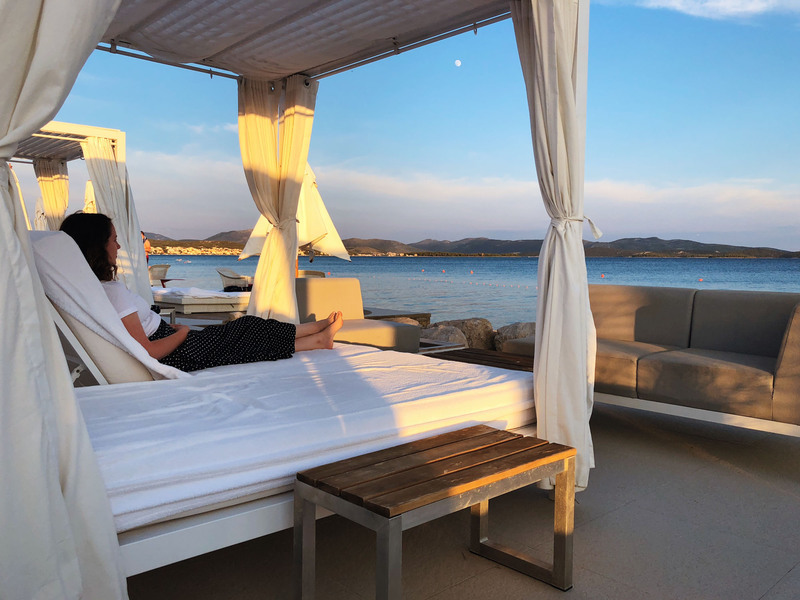 Next time I’ll be sharing tips on how to do a package holiday in style, plus giving some suggestions of other hotels to choose with Jet2Holidays. Let me know if you have any questions in the meantime. it’s really a great resort! Beautiful place, looks like y’all had a great time! The places looks so fantastic..Wish I would go there soon! !